The siding on your home is usually the first thing people notice when looking at your home. Even people who pass by on the street see your home’s siding and how it looks on your home. In order to have a home that looks great and has amazing curb appeal you’ll need to ensure the siding on your home looks great. You’ll also want to ensure it’s installed and maintained correctly as well. 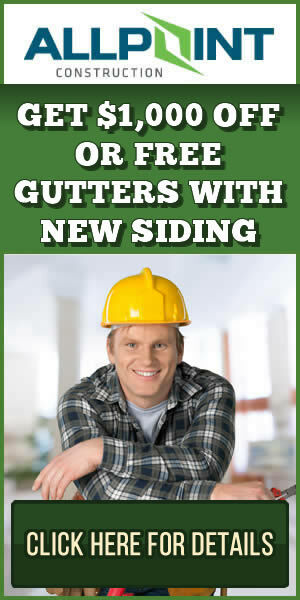 The best way to do that is by using fully licensed and qualified siding contractors in Downriver Michigan. In this article I’ll go over some of the top reasons why you should always use a fully licensed and qualified siding contractor for your home. There are lots of home improvement and handyman service people in the Downriver Michigan area. And while some of these individuals may work perfectly fine for a home improvement project there always seem to be shortcuts that are taken which end up costing you later. When using a qualified siding contractor in Downriver Michigan you’ll have someone who has actually proven that they know the correct way to install the siding and to maintain it. Just by viewing a few YouTube videos on siding doesn’t make anyone an expert on siding and when it comes to your home do you really want to trust it to someone who was trained watching YouTube videos. 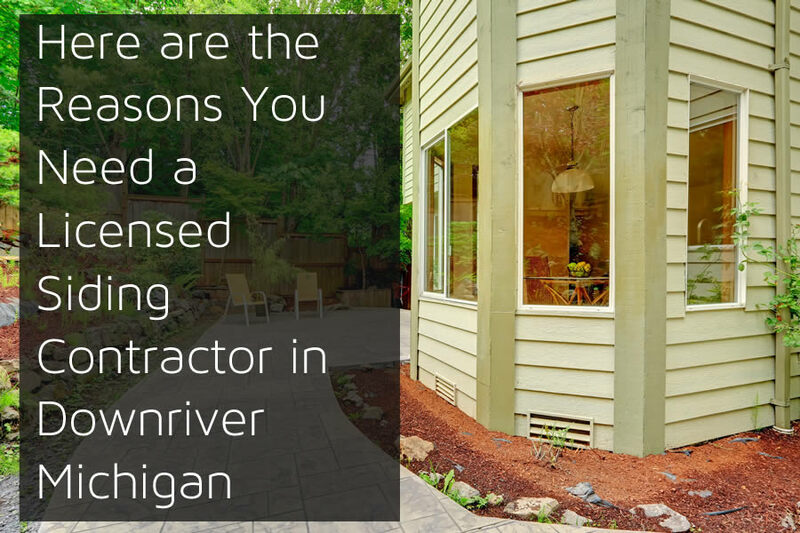 In order to protect your home now and later down the road always make sure to use licensed and qualified home improvement contractors in Downriver Michigan. I’ll go over some of the reasons why you’ll need to do this below. Siding installation is different at different times of the year. Cold weather makes the siding contract and the heat expands it. If the siding is installed incorrectly in winter with very small gaps it can cause the siding to look bad in summer when it expands. When this happens siding such as vinyl siding will crinkle and warp and looks like a disaster. This can also happen when the siding is installed without being able to move. These are common problems that will not appear initially but will show themselves when the season changes. A fully qualified siding contractor will know about this and also know the correct way to install the siding no matter the season. Most siding manufacturers today offer a warranty attached to the siding they offer. These warranties can last for decades but in order to take advantage of this warranty the siding will need to be properly installed by qualified professionals. Improper installation of the siding may void the warranty. Even if the siding looks great and performs as it should, you may have a problem later and the manufacturer may not honor the warranty due to improper installation of the siding. Another big problem with getting a company that isn’t qualified to install the siding on your home is that is will not look great. Small problems such as corners that don’t line up or siding that isn’t uniform can stick out like a sore thumb. Having a professional installation will mean the siding is installed correctly and look great on your home. Depending on the siding you choose for your home will determine what other products are needed. Sometimes adding insulation or house wrap is needed before the siding is installed. This extra protection won’t be seen as it’s covered by the siding installation but can offer you better protection from the weather elements. You’ll likely have more energy efficiency in the home as well because of added insulation. Backing may also need to be added to help secure the siding to the home. In any case, these things may not even be considered if you don’t use a professional, licensed siding contractor for your home’s siding installation. Want a professional, licensed, and qualified siding contractor in Downriver Michigan? Be sure to call All Point Construction today at 734-407-7110 to get a free siding estimate from a licensed and insured home improvement contractor in Downriver Michigan. Should You Cover Your Existing Siding with New Siding?